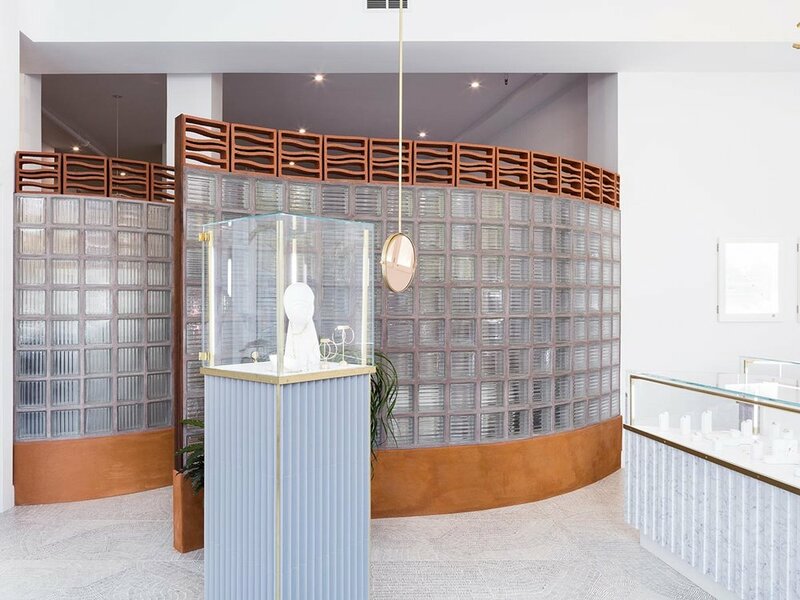 Brooklyn based designer Caitlin Mociun, known for her simple, Bauhaus-inspired jewellery, recently launched a new collection and a brand new store in Williamsburg, Brooklyn. You can spot the restrained design principles of Bauhaus in all aspects of her work, and for the latest collection, Trinity, Mociun has dived into the avant-garde, sculptural and geometric costumes used in the 1922 Triadisches Ballet by Oskar Schlemmer, Trinity. To celebrate her expansion, Mociun opened a new flagship late last year. Mociun designed the space herself and it’s a mekka for jewellery, art and design lovers alike. 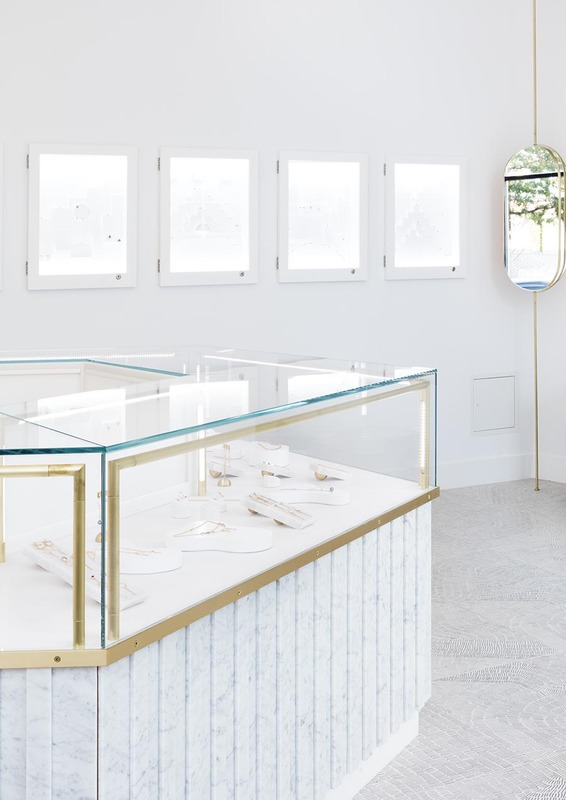 “I wanted to create a more elevated atmosphere for our jewellery customers and custom clients to experience while designing or shopping for their bespoke pieces,” says Mociun. Glass bricks, terracotta breeze blocks, patterned floor tiles and furniture and art by the designer’s own favourite artists. What's not to like?